Cold applied conformable fabric based tape for the corrosion protection of pipes, cables, rods, valves and metal fittings. It comprises non-rotting synthetic fibre fabric impregnated and coated with a compound based on petrolatum and inert fillers. 400g tub of Boss White pipe jointing compound. Use for hot and cold water, natural gas and LP steam up to 7 bar and 200°C. Not for use with potable (drinking water) supplies. Seals, bonds, caulks, covers, protects, insulates, waterproofs. Ideal for bathrooms, kitchens, sanitary ware, glazing and tiling. 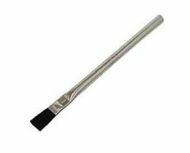 Ideal for use with leaded and unleaded solder, with its high melting threshold. 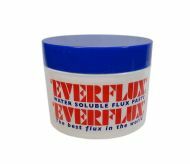 Water flushable - soluble in hot and cold water. Non-stick formulation allows easy joint adjustment after fluxing. Fernox LS-X jointing compound and external leak sealer is ideal for use on compression joints and screwed fittings, as it never sets rock hard, joints can easily be undone. Ready mixed 1kg tub of fire cement. 2kg ready mixed tub of fire cement. 0.5kg (500g) ready mixed tub of fire cement. Black fire cement 1kg tub. Ready mixed tub of fire cement, sets harder with heat. 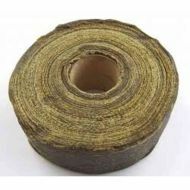 50 metre long x 50mm wide roll of general purpose gaffer tape, the truly multi-purpose repair tape. Sticks to almost any dry, grease free surface. Gapfilling cement 140g. Normally sold for use with clip on bosses. NOT for use with ABS. For callers only - the post office will not allow it in the mail. 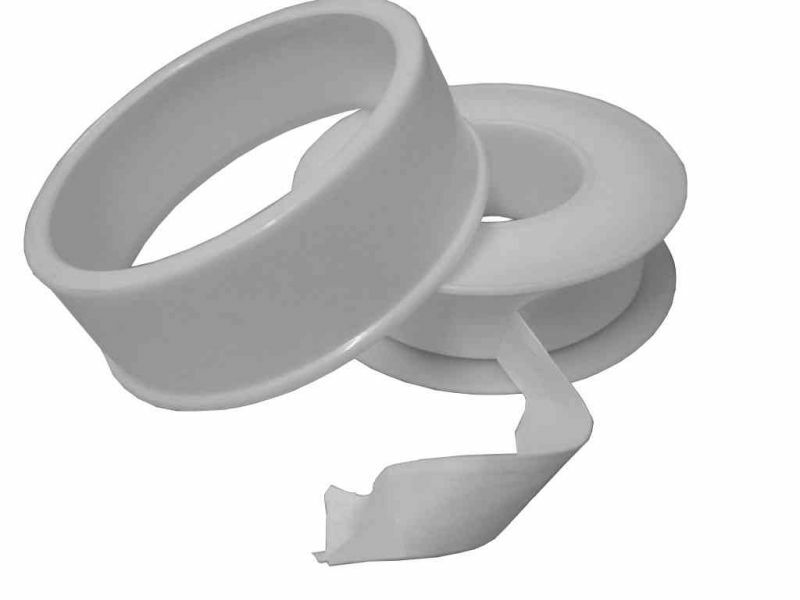 Extra thick PTFE thread sealing tape for use with gas connections. High temperature rope adhesive / cement 30 ml. For boiler, stove, cooker door and window seals. 500g coil of lead free plumbers solder. 500mm lead free plumbers solder. Standard yellow / grey milliput. Pack containing 2 x 56.7 gram sticks. Milliput is an excellent adhesive and will bond any of the following to itself or to any of the others - wood, brick, cement, metals, concrete, plastics, glass etc. Milliput superfine white epoxy putty. 100g (approx) hank of plumbers flax / hemp. Use in conjunction with BOSS WHITE jointing compound. NOT suitable for use with potable (drinking) water. 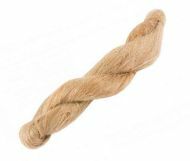 Flax and paste was universally used before PTFE to make threaded plumbing pipe joints. Small 1oz tin of plumbers grease. A special combination of lithium soaps, solvent refined base stocks and additives. Formulated for many plumbing applications. Small tub of plumbers putty (397g). Small 14g tub of plumbers silicone grease. Silicone grease should be used where regular lithium based greases can’t. It works at higher temperatures (up to 230°C) and can be used on rubber or synthetic O-rings. 500g plumbers solder WITH lead. 500mm plumbers solder WITH lead. Well established safe product, self cleaning, easy to apply, WRAS approved. Suitable for both lead containing and lead free solder alloys. Tin of PTFE paste - 118ml 1/4 pint. PTFE should need no introduction, it is used for all types of plumbing work (except oxygen). Jomar White Stuff is a slow drying, soft setting, non hardening PTFE pipe thread compound. It will not transfer taste or odour to the system being sealed. Excellent for food and water systems. It is lead free, anti-galling, non corrosive, non toxic, and will not harden in tube. Fix All Crystal is a crystal clear, neutral, elastic, single component sealant/adhesive based on MS-Polymers. Completely transparent. Outstanding bond strength on nearly all surfaces. 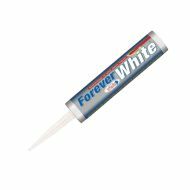 Multi purpose white silicone sealant.